THE BULLET-RIDDEN bodies of five aid workers have been found, weeks after they were abducted by armed gunmen in the volatile south of Afghanistan. The group of workers for Save the Children was snatched by armed gunmen in Trinkot, capital of the strife-torn Uruzgan province, on March 3, according to statement by the United Nations. A spokesman for the provincial governor blamed the Taliban for their deaths after their bodies were found yesterday. 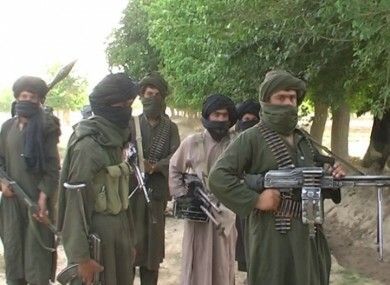 “The Taliban had kidnapped the aid workers and were demanding the release of some of their colleagues in government custody,” Dost Mohammad Nayab told AFP. After their demand was rejected, they shot and killed the aid workers. We found their bodies in Chanarto district yesterday. Zubaida Akbar, a senior communication officer with Save the Children in Afghanistan, confirmed the deaths, which have not been claimed by any group. Five of our staff members were abducted more than five weeks ago. Tragically we have learned that they have been killed. Aid workers, particularly those working for non-government organisations, have repeatedly come under fire since the US-led invasion to topple the hardline Taliban regime in late 2001. Afghanistan was the most dangerous place for relief staff in the world in 2013, with 81 killed, according to consultancy Humanitarian Outcomes, while the UN said a further 57 lost their lives last year. In July, two Finnish female aid workers employed by The International Assistance Mission were shot dead in western Afghan province of Herat. “Afghanistan is one of the most challenging places for the humanitarian community with death, kidnappings and attacks against humanitarians all too frequent,” said the UN’s Afghanistan coordinator Mark Bowden. Email “Bullet-ridden bodies of kidnapped aid workers found in Afghanistan”. Feedback on “Bullet-ridden bodies of kidnapped aid workers found in Afghanistan”.